Can an A/E's traditional DD documents be used for bids or negotiation for a Bridging type design– build contract? No. In fact, this is a course some have taken by mistake, believing that they were doing Bridging. Using an A/E's traditional Design Development documents ("DDs") for bids or negotiation is an approach that will lead to many problems for both the owner and the design architect. The “Design Guide Illustrations” ("DGIs”) and the “Owner’s Minimum Requirements” ("OMRs”) are the drawings and specifications of the bidding documents (final pricing documents) in a Bridging project. These drawings and specifications would be developed and prepared after traditional Schematic Design is completed and approved. These drawings and specifications, along with forms of contract, etc, make up the Bridging Contract Documents. The level of effort by the Owner’s Design Consultant (the "ODC", who might also be referred to as the Bridging Architect or the Design Architect) is about the same as that in design development documents, depending on the project objectives, but they are quite different from traditional design development phase drawings and specifications. Typically, the architectural drawings and design decisions are much more advanced than in traditional “DDs”, but the engineering drawings are fewer, though there will have been extensive consultation with the architects by the consulting engineers and there will be sufficient performance and some prescriptive specifications for the engineered systems of the project. The basic idea is to design, illustrate and specify everything that needs to be tied down to fully protect both the owner and the design but to leave as much latitude as possible to design-build bidders to use their skills and experience to give the owner the best buy. A couple of examples: There are likely to be no drawings and few specifications other than code compliance for the foundations, but finish hardware must be fully scheduled and specified at the 100% CD level. Another example would be the plumbing system for which performance specifications with a few prescriptive requirements might be sufficient in most projects for the plumbing system except for fixtures and fittings. But all plumbing fixtures, fittings, floor drains, etc. must be fully specified and located on the floor plans and in interior elevations. In a Bridging project, doesn't it cause confusion for there to be two designers? In a Bridging project there is only one architectural designer, the Owner’s Design Consultant (“ODC”) sometimes referred to as the Bridging Architect or the Design Architect. That designer should make and document all of the design decisions that are needed to protect the owner and the design. The MEPSC consulting engineers who are part of the ODC’s team will consult with the ODC and will prepare appropriate performance specifications with some prescriptive specifications. One of the major roles of the Contractor's architects and engineers (which are subcontractors to the contractor), is to produce a complete, accurate, coordinated and code compliant set of final Construction Documents in full accordance with the Bridging Contract Documents and its DGIs and OMR prepared by the Owner’s Design Consultant. Doesn’t Bridging limit the level of control over design and construction quality? No. The Owner’s Design Consultant (“Bridging Architect” or “Design Architect”) can and should use its professional judgment as to what is “tied down” and what is not. If in doubt, a greater degree of completeness and specificity is the proper course. Keep in mind though that the degree to which latitude is taken away from the design-build proposers may effect the cost to the owner. In a Bridging project, who is the Architect-of-Record, the Owner’s Design Consultant or the Contractor’s AE? The Contractor’s architects and engineers are the Architects of Record and the Engineers of Record. Are the bids or negotiated prices that are received and which are based on the Bridging Contract Documents subject to adjustment upon completion of the Construction Documents? Not unless the owner has elected to make changes. The price received on Bridging Contract Documents --- which is at a much earlier stage in the design and construction sequence and resulting in a lower “front end” at-risk cost to the owner --- is at least as enforceable as a price based on final Contract Documents in the traditional method. The reason it is enforceable is the same reason that a GMP issued based on Design Development documents is not readily enforceable. The Contractor will not be able to claim, after the award of the Bridging type contract, that the contractor had no way of knowing all of the things that the owner’s architect and engineers were going to include or add, detail and specify. Further, the Contractor will not be entitled to any adjustment for price escalation after award or for building permitting issues if there have been no changes in the applicable codes. If the Owner does elect to make changes, that would be the basis of a change order as in a traditional contract. Isn’t it rather disjointed for the Bridging Architect to hand off the project at the end of preparation of the Bridging Contract Documents? There is no “hand off” by the Bridging Architect. Unless the owner chooses another course, the ODC would continue to provide services to the Owner throughout the project. After assisting in the design and award phase, the ODC would review the Construction Documents for compliance with the Bridging Contract Documents, and the ODC would have the leverage of approving or disapproving payment to the Contractor for the satisfactory completion of the Construction Documents. Those services, along with the normal construction phase observation of the Work and recommendations on payments, as well as processing change orders, and assistance to the Owner in the administration of the contract between the Owner and the Contractor will be performed by the ODC. Doesn’t Bridging cause the owner to have higher architectural and engineering fee costs since there are two AEs? What are the advantages to architects, engineers and others in the design professions and construction industry in Bridging method projects? 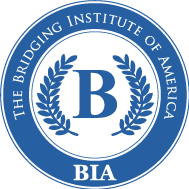 Those who have worked for a number of years to develop the method point out that Bridging has significant advantages for owners, it’s original objective, but also for the architectural and engineering professions, general contractors, and specialty sub-contractors. While the major objective of the Bridging method is to reduce the Owner’s risks and costs in a construction program while delivering a fully equivalent or better facility product - - - which it does very effectively - - - there are also major business benefits for the other parties involved. For architects, there will be an increase in the number of people-hours that the architectural profession as a whole provides and is compensated for by around 10% to 15%; the Owner’s Design Consultant (referred to by some as the “Bridging Architect” or the “Design Architect”) should be able to realize a better profit margin as well as dramatically reduced exposure to professional liability claims. For consulting engineers, working with the Owner’s Design Consultant, there will also be a dramatic reduction in exposure to professional liability claims for these professionals, though a reduction in billable man-hours for engineering consultants to the ODC, though there should be no reduction in the profit margin for the services rendered. For the engineers working with the contractor or its subcontractors, there will be a valuable learning opportunity as the detailed design is developed in consultation with experienced specialty contractors for each discipline. For general contractors, particularly those with well honed construction management skills, they will be able to take advantage of their own particular expertise in various methods of construction, such as types of structural systems, foundations, etc. on which they can base their own particular proposal for each Bridging method project. For specialty sub-contractors, each will be able to stipulate aspects of the work it proposes to the general contractor for which it has special experience and knowledge and to work with the contractor’s consulting engineers in the engineered systems design and preparation of the final engineering drawings and specifications.